Unified communications allow businesses to make the fastest possible decisions and transactions. UCC allows users to communicate in whatever manner best suits their needs or situation. And the individual tools are interconnected so that access is streamlined and efficient. Mitel offers industry-leading unified communication solutions for businesses of all sizes. All of their voice solutions can be expanded into full, feature-rich UCC solutions. And because they give you the option to run our powerful solutions on our hardware or on your servers through software, you can expand on your terms and your timing. 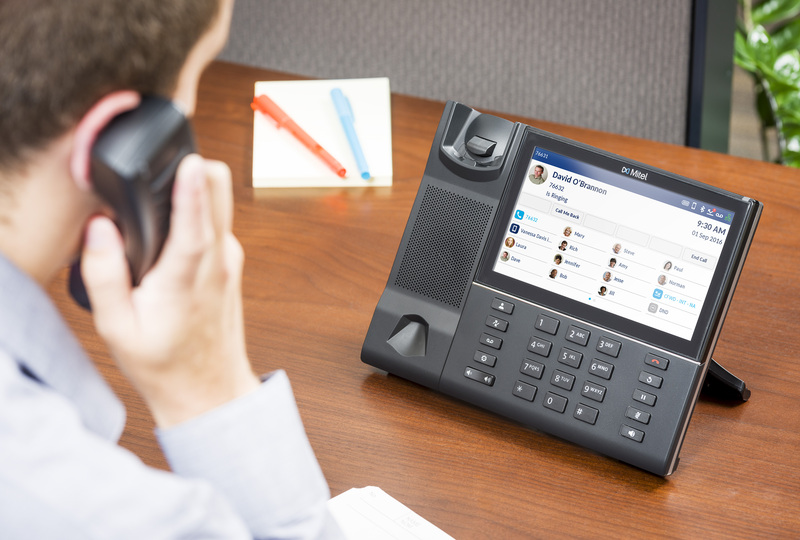 Mitel also offers voice and unified communication solutions as a service. Cloud capabilities mean you can skip the hardware and servers altogether and instead subscribe to a UC system using their data centers. This means no long-term commitments or capital expenditures. Mitel has been delivering business communications solutions for more than 40 years. Their solutions are simple yet comprehensive and include core software, phones, headsets and robust applications such as contact center solutions and a suite of mobile capabilities. Their solutions adhere to industry standards, offer the highest reliability and unprecedented freedom and flexibility.